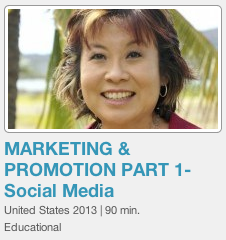 Marketing and Promotion Part 1 – Social Media – Presented by the Hawaii Academy for Recording Artists #WhatAreHashTagsFor (@nickterzo @melissa808 @parkrat) – AdStreamz, Inc.
#WhatAreHashTagsFor? 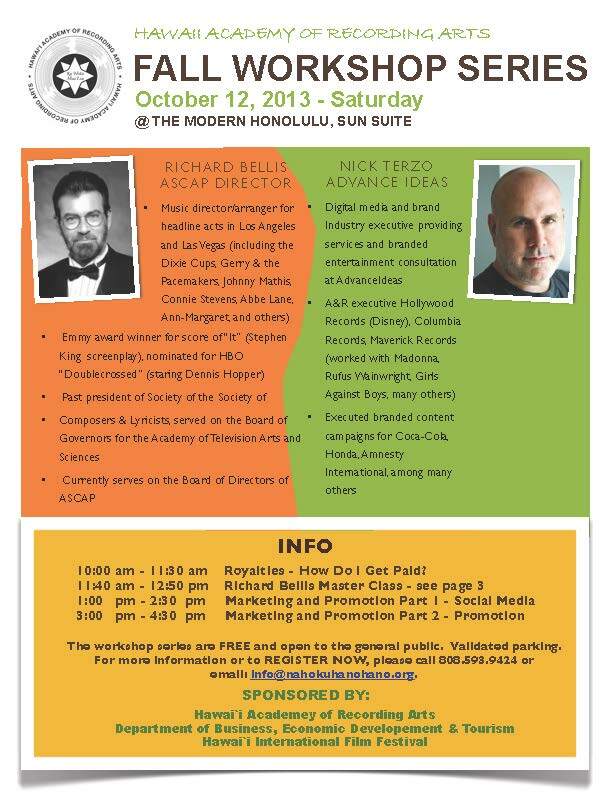 This workshop will focus on the use of Facebook, Twitter, Instagram and other social media vehicles, and how to maximize the use of these to increase exposure and the reach of your music. 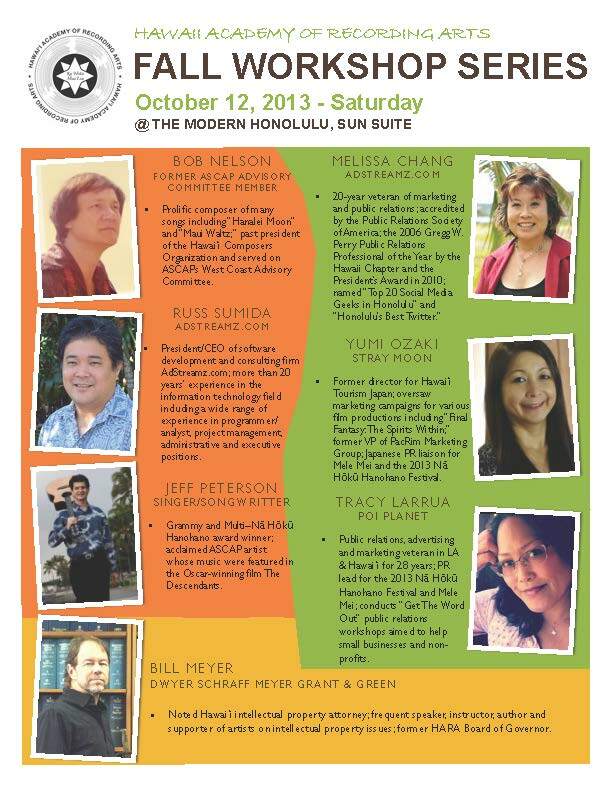 Workshop speakers: Melissa Chang, Russ Sumida, Nick Terzo. 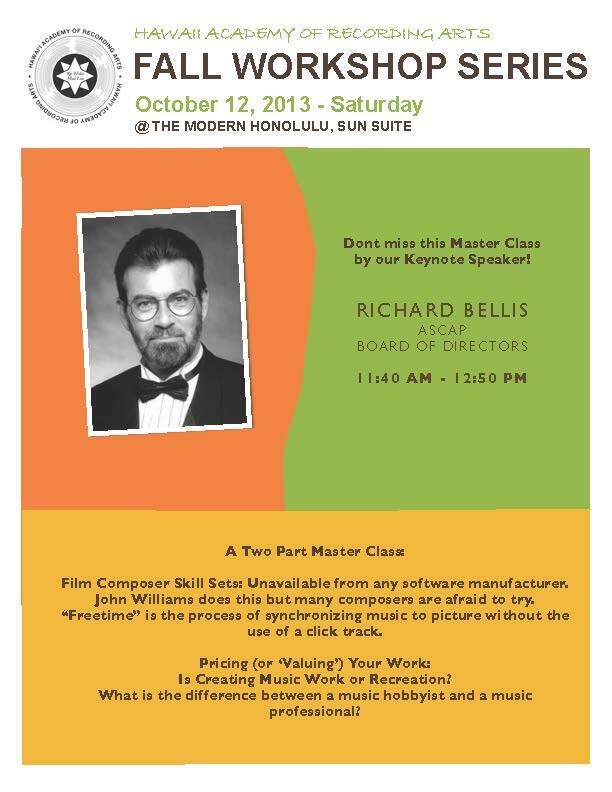 Presented by the Hawaii Academy for Recording Artists.